All things eye | Por Yong Ming: What is the Bates method and does it work for shortsightedness? 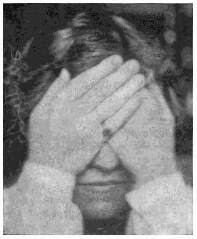 What is the Bates method and does it work for shortsightedness? 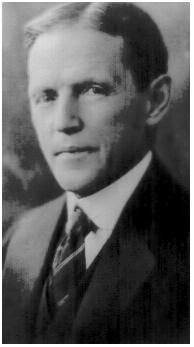 William Bates was an American eye doctor who proposed and developed a method for improving eyesight in the late 19th century. This was based on the theory that poor vision such as that from shortsightedness was related to eye strain, and that this could be cured by a series of eye exercises. What does 'eye strain' mean? Generally most of us would characterise eye strain to be an ache or discomfort around the eyes after using them for too long trying to read things like fine print at near. This ache can be due to fatigue of the ciliary muscle of the eye, or of the facial/eyelid muscles if the person has been squinting excessively. There is little doubt that these muscles, or any muscles of the body can be stressed or fatigued after prolonged work. In the eye, near focus can be achieved in young people by the ciliary muscles contracting, this action causing the crystalline lens of the eye to bunch up into a rounder and thicker shape. There are many ways to prove this, but the most obvious is when a patient gets dilating drops at the eye doctor's clinic, and then find that they cannot read up close for a few hours due to the drops relaxing the ciliary muscles as well. 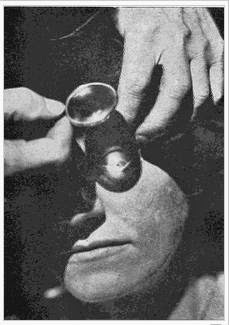 Dr Bates, however, had a very different explanation for eye strain. We all have muscles that attach on the outside the eye, and these muscles are used to turn the eye in different directions, so that we can look in these directions without having to turn our heads all the time. Dr Bates thought that it was these muscles that became strained when someone developed poor vision from refractive error, and so he thought that by relaxing or exercising these muscles, vision could be improved. There are various swings, one of the main ones practiced being the long swing. The person holds a pointer (a long stick) vertically, and holds it out at arm's length. While fixing gaze at the tip of the pointer, the person swings from one side to the other, trying to appreciate the movement of the background. While swaying from side to side, the person looks at a distant object and tries to observe surrounding, nearer objects. They may be noticed to move in opposite directions to the sway. For a particular day, the person spends time looking out for and being aware of a particular colour of his/her choice. Why do we become shortsighted? Shortsightedness occurs because the eyeball becomes too long for the focusing apparatus of the eye (the cornea and the crystalline lens). Sometimes in older people, the development of a kind of cataract can also cause shortsightedness to develop and get worse, since the cataract increases the refractive index of the lens and causes it to bend light more. The exact cause of eyeball elongation is still debatable, but important factors appear to be the amount of daylight one is exposed to, as well as the amount of near work being done at a young age. Atropine eyedrops have been found to help to stabilise the size of the eye. Once the eyeball has grown to a certain length and size, it does not shrink or shorten unless something disastrous happens in the eye. When the eye is terminally damaged, it stops secreting aqueous fluid, the eyeball becomes soft, and it starts to shrink like a flat car tyre. There is no obvious reason why a series of exercises would be able to shorten the eyeball to reduce a person's shortsightedness. How can something like the Bates method seem to work (while being based on no scientific foundation and on the wrong assumptions)? A recent study found that shortsighted people are less affected by blurring of images when it comes to being able to recognise letters. Shortsighted eyes seem to be less affected by defocused images at the retina when compared to people who are not shortsighted. If vision is purposely blurred by lenses for a long time of 60 minutes, then improvements in vision can be measured after this time even through the blurring lenses. This suggests that there is a natural adaptation process happening among the nerve cells in the brain that are responsible for vision. This process can make vision a little better compared to before the adaptation occurred, but it cannot make vision perfectly clear (especially when spectacle power is high) as happens when the images are completely in focus. However, although blur adaptation is well recognised, there is no evidence that it is improved through performing the exercises of the Bates method. A placebo is a 'fake' treatment that consists of nothing which will treat a medical problem. It can take several forms, such as 'sugar pills' and even occasionally 'sham surgery'. It is known that in some cases, a perceived or actual improvement in a patient's condition can occur merely by suggestion and the use of inert 'sugar pills'. This is called the 'placebo effect', and that is why when studies are done to test the effectiveness of new medicines or surgeries, the studies are often done in 2 groups of patients with one group receiving the new medicine or surgery and the other receiving the placebo or sham surgery. Not everyone responds to a placebo, and the responsiveness may also depend on the condition that the patient has. For example, the responsiveness would be 0 in patients with blood poisoning (sepsis), and it could range up to 30% or more for pain effects or depression. The placebo effect is related to the expectations and perception of the patient. It is intriguing that sugar pills of different sizes and colours can have different effects, with red hot coloured ones doing better as stimulants! Motivation also plays a role in the effectiveness of placebos. Here is what seems to be an example of suggestion by a proponent of the Bate's method, Aldous Huxley, who wrote that "Vision is not won by making an effort to get it: it comes to those who have learned to put their minds and eyes into a state of alert passivity, of dynamic relaxation." It is a play on the patient's perception and an attempt to influence that perception with words. While I hesitate to claim that the Bates method is a placebo, it does seem to me that the absence of a scientific explanation for the method, with its lack of effectiveness in many people, and its methods which require suggestion and much motivation, suggest some aspects of the placebo effect is taking place among people who seem to benefit from it. The long and short of it is that there is no real explanation as to how eye exercises could help to improve vision or shortsightness. On the other hand, the method does not cause physical harm, except for the original description of sunning, which is extremely dangerous and can cause blindness. Those who would like to palm, or swing and sway, could carry on doing so but should not ignore conventional medical treatments which have withstood great scrutiny and the tests of time. Mon-Williams M, Tresilian JR, Strang NC, Kochhar P & Wann JP. Improving vision: neural compensation for optical defocus. Proc Biol Sci 1998; 265: 71–77.